Undelete and recover your lost or deleted files. A powerful Recovery tool to Scan and Search your internal storage and SD card for deleted images and recover them. Sometimes you accidentally deleted or lost your photos and then you want to recover them back but unfortunately android operating system is not giving you facility to undelete your lost pictures. 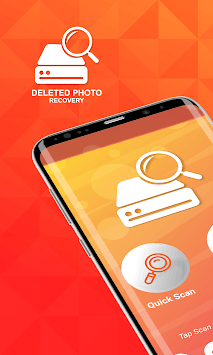 We are providing an android free data recovery app which will scan and show all the photos currently present in your phone. you need to find and select the pictures you want to recover back. This app is not a recycle bin so some time it can get back old deleted photos as well. Its really Easy, Just open the app and scan your photos. 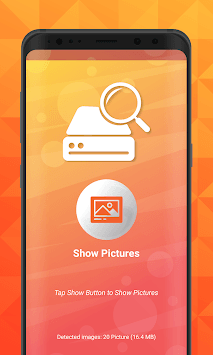 just be patient app may took some time to find removed or erased photos, After done with scanning and searching app will display photos in folders it will be easier for user to enter in desired folders to get their pics back. 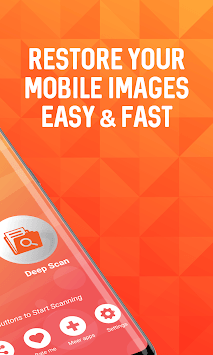 We use quick scan to avoid scanning and searching the whole device, In quick scan you can get instant results but as mentioned before it will not scan the whole device so you may not see your desired photos after scanning. Why not give it a try, This app is free. Scanning both internal and external storage. This app may show some photos even if they are not deleted yet. If the lost data is too old the app may not be able to recover all of it. The results May vary from device to device and operating system to operating system.